Happy Canada Day! Today is Canada Day, marking the day in 1867 when three colonies came together to form the country of Canada. In celebration of Canada Day and of the July 4th Holiday here in the U.S. I decided to make patriotic cake in celebration of both occasions. I was kind of surprised the Canadian flag turned out as well as it did. I thought it would be hard to do but it was actually easy! My husband and I were married on Canada Day 11 years ago, and since our families were both Canadian and American we had both flags in celebration at our wedding. So it seems appropriate that I would make these cakes now especially considering on our wedding day we almost didn’t have a cake! When we arrived at the reception we realized the cake table was empty. After a panicked call to the cake company a rush order was prepared and our cake was literally served warm at the reception! So about the cake. Since I don’t like to eat high-fat, high-sugar cakes I set out in search of a good carrot cake recipe that fit this criteria. I found a really good one which I have adapted slightly. I took the cake to Sunday Service this morning and it disappeared in a matter of minutes. It is really delicious and moist, made with half whole wheat flour and relatively little sugar compared to other carrot cakes, but it doesn’t sacrifice any flavor. You will love this recipe! 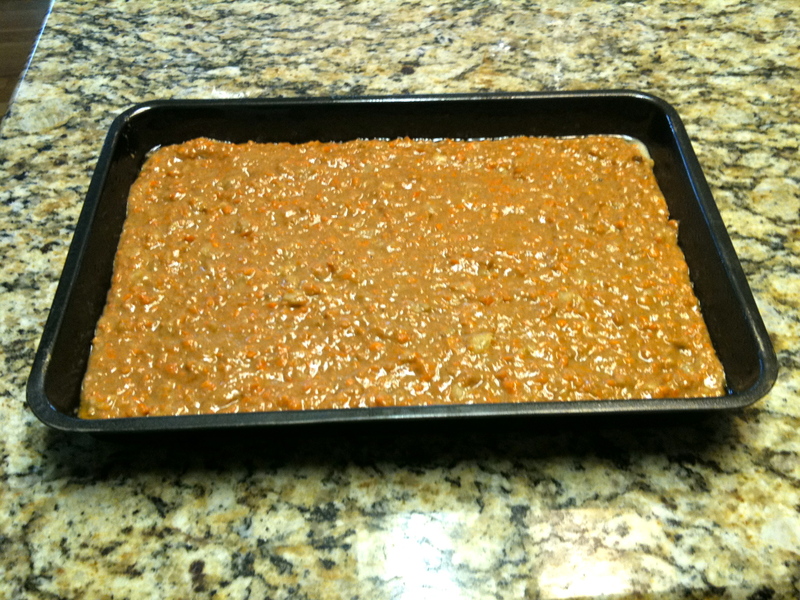 Adapted from Amanda’s Cookin Low-Fat Carrot Cake recipe. Preheat oven to 350 degrees, and spray a 13″ x 9″ baking pan with non-fat cooking spray. 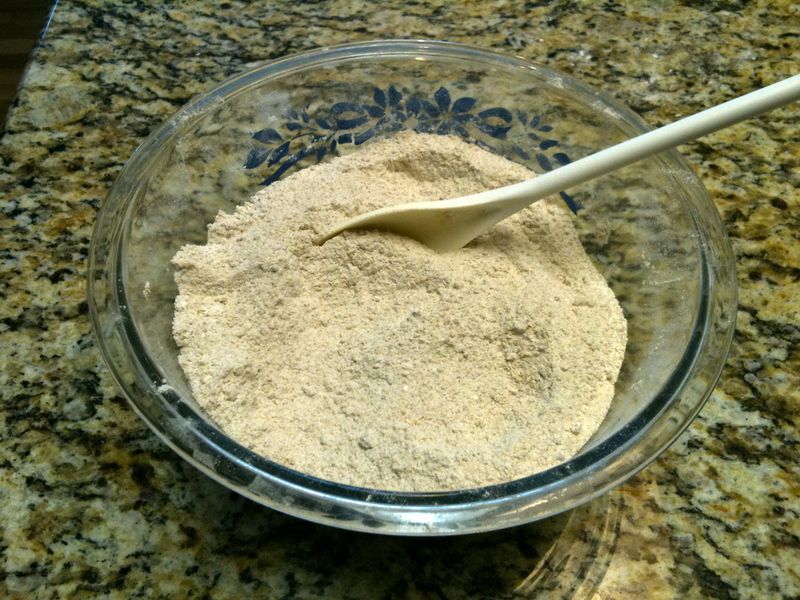 Combine the flour, sugar, brown sugar, cinnamon, nutmeg, allspice, baking soda and salt in a medium bowl and mix together well. 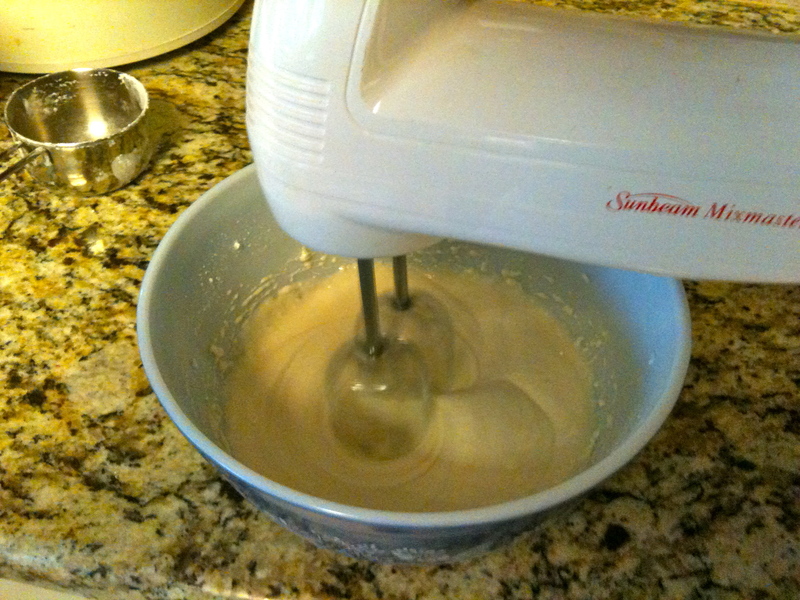 Whisk the egg whites and egg together in a large bowl. 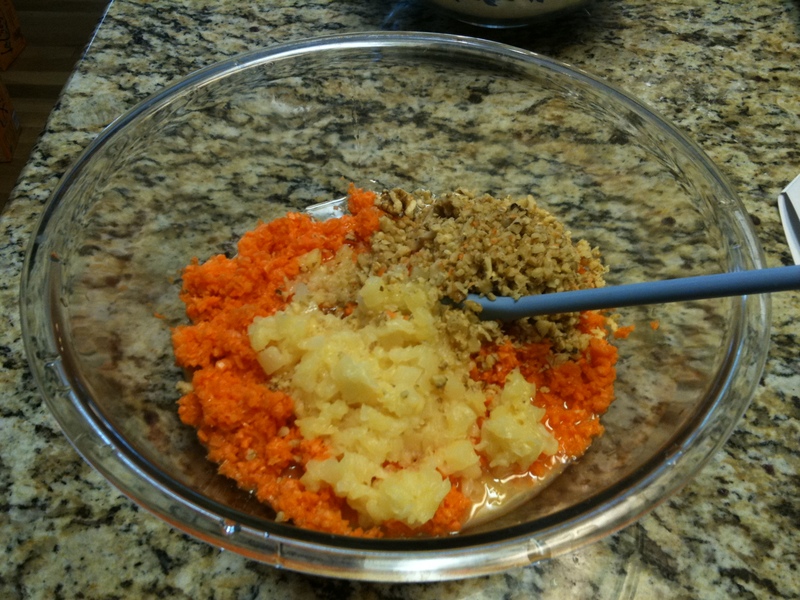 Add the carrots, pineapple, oil, walnuts, and pineapple juice and mix together well. 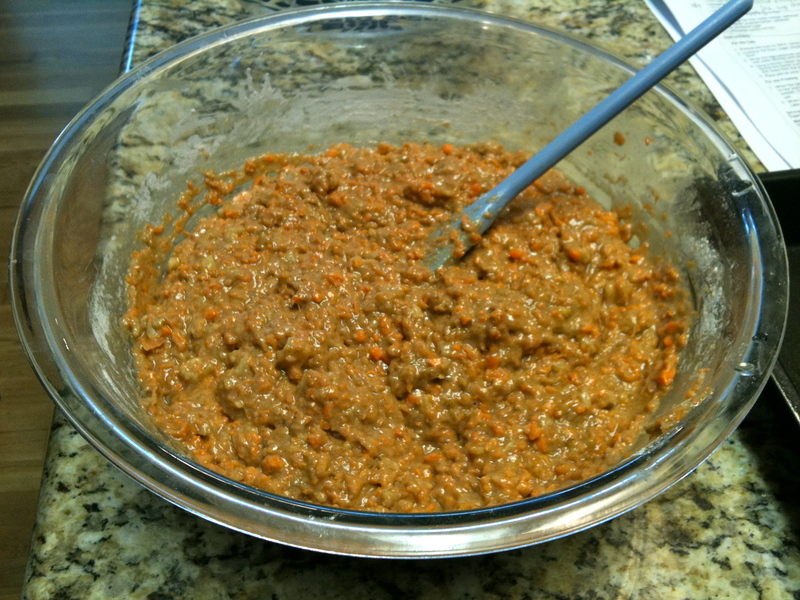 Gradually add in the flour mixture to the carrot mixture and stir until well blended. Bake for approx. 35-37 minutes until cake is nicely browned and begins to pull away from the sides of the pan. Let cool completely before icing. 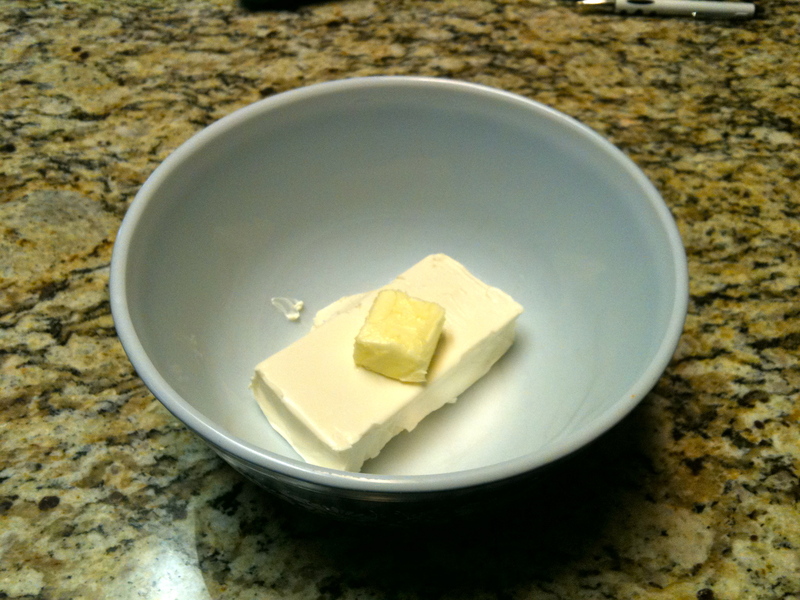 Beat the cream cheese and butter together until smooth. Gradually beat in the powdered sugar and vanilla. 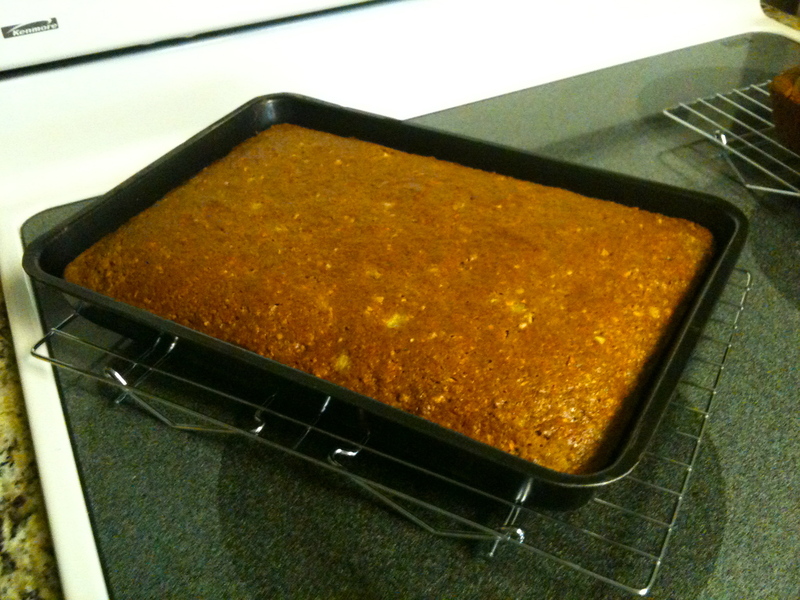 Turn cake upside down on a large platter or baking sheet. 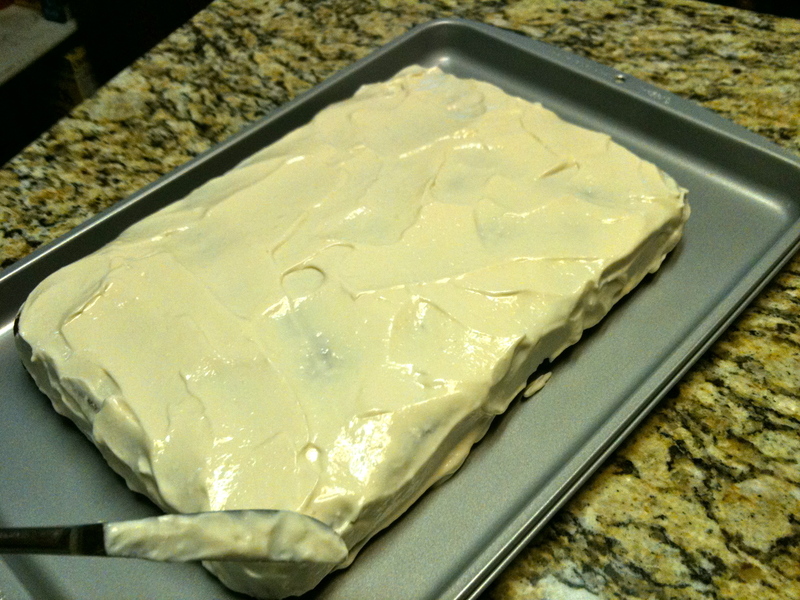 Spread icing over the top and sides of the cake. 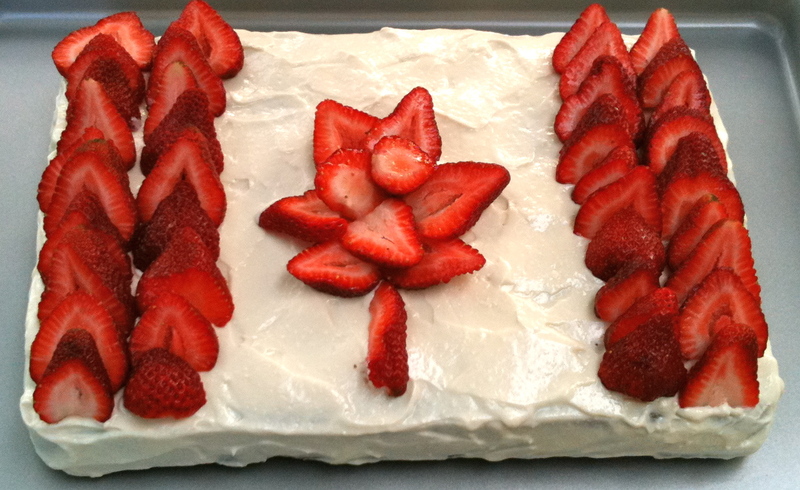 Decorate with strawberries if you are creating a Canadian flag. 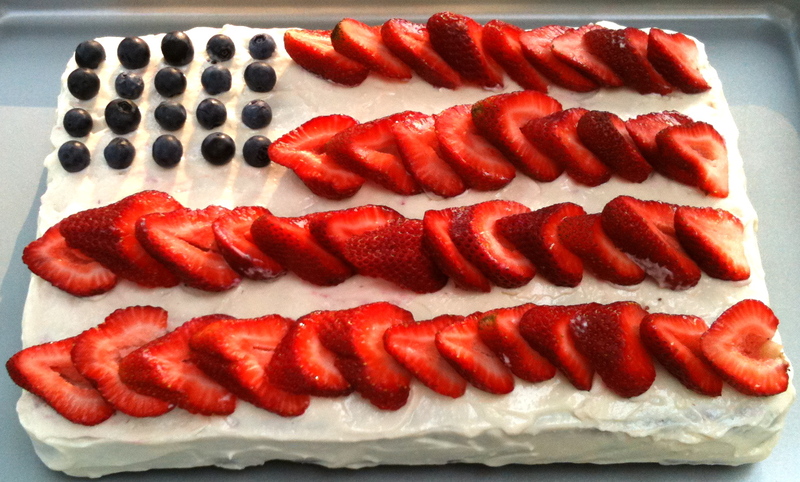 Decorate with strawberries and blueberries if you are making an American flag.